Julie Smith (AB ’00) helps remove financial barriers for students. Julie Smith (AB ’00) works as an external and government affairs executive for Verizon. Through the department of political science, Julie interned at Georgia’s State Capitol. The internship helped solidify her desire for a career in politics. Julie secured her first job even prior to graduation as a result of her internship. Those key career steps eventually catapulted her to the office of Governor Sonny Perdue before her current role at Verizon. She gives to the SPIA Fund, which offers support for student organizations, undergraduate study abroad scholarships, events and lectures within the school. Internships set many students on paths to meaningful careers, and Julie Smith’s was no exception. Today, Julie works as an external and government affairs executive for Verizon. She attributes much of her success to the opportunities afforded to her at the University of Georgia’s School of Public and International Affairs (SPIA), most notably her internship at Georgia’s State Capitol. She now gives back so students can take advantage of similar internship opportunities without the worry of financial obstacles. Julie gives to the SPIA Fund, which offers support for important networking opportunities – through student organizations, events and lectures – that help SPIA’s students connect with future and current professionals in their fields of interest. 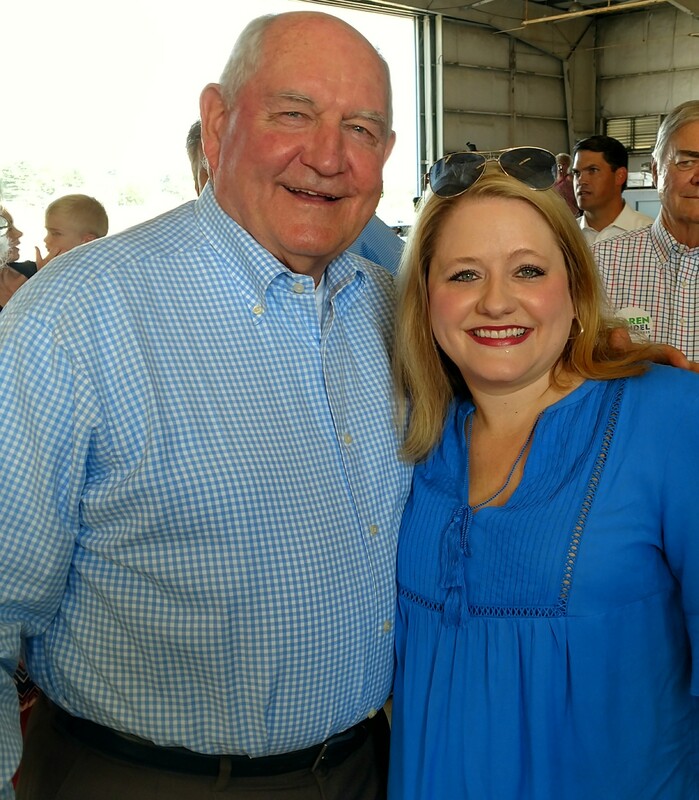 Julie and her former boss, United States Secretary of Agriculture Sonny Perdue (DVM ’71). 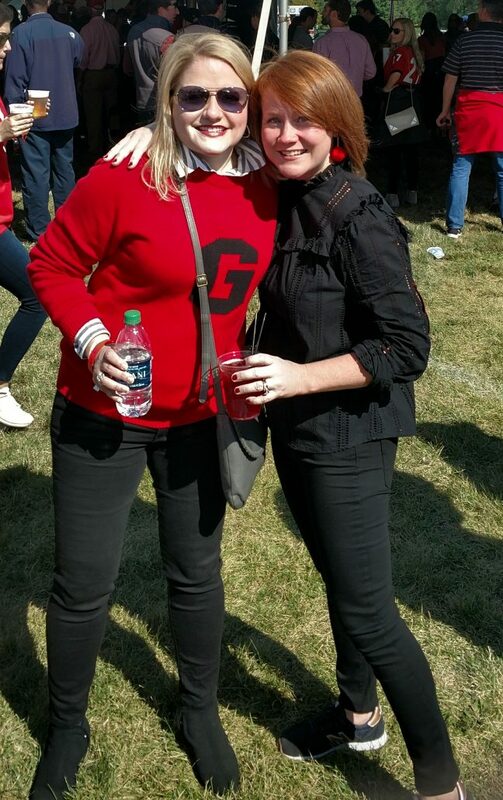 Julie and Trenton Smith-Chasteen (AB ’01) at the Dawg Days Tailgate before the UGA-Notre Dame football game in South Bend, Indiana. While a student, Julie secured an internship at the State Capitol in Atlanta, Georgia, where she served under Rep. Sharon Trense. As the legislative aid for Rep. Trense, the political science major did “basically anything and everything she needed,” from attending meetings on her behalf to researching healthcare issues and crafting key pieces of legislation. Julie’s internship gave her the confidence to seek more mentors who could help prepare her for a career in politics. After finishing her internship, she connected with then-UGA President Michael F. Adams when she returned to Athens. Adams, a former chief of staff for U.S. Senator Howard Baker and U.S. House nominee for Tennessee’s Fifth District, provided Julie with further insight into her desired career path. Today, as an external and government affairs executive for Verizon, Julie spends her days traveling from city to city, speaking with leaders in local and state government in communities across the country. Julie’s job is to advocate on behalf of her company on issues affecting the company and their customers – a perfect fit for someone with a love for politics. She also helps Verizon identify worthy nonprofit organizations to support. Traveling remains one of her favorite aspects of the job; she enjoys forging new relationships on the company’s behalf. Especially close to her heart are the connections Julie has made between Verizon and organizations in her home state of Georgia.